As an optometrist, I get asked for clinical and non-clinical advice about eyes and all things ocular. 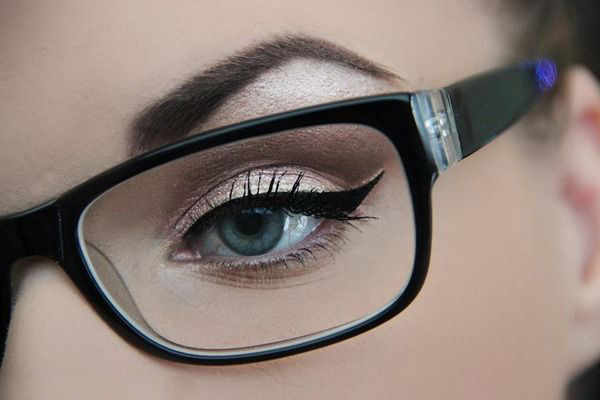 One of the most common non-clinical requests is for makeup tips for spectacle wearers. I am by no means an expert on makeup techniques, but these five simple tips are a good start. The trend for statement eyewear is set to stay and the days of hiding behind spectacles are long gone. 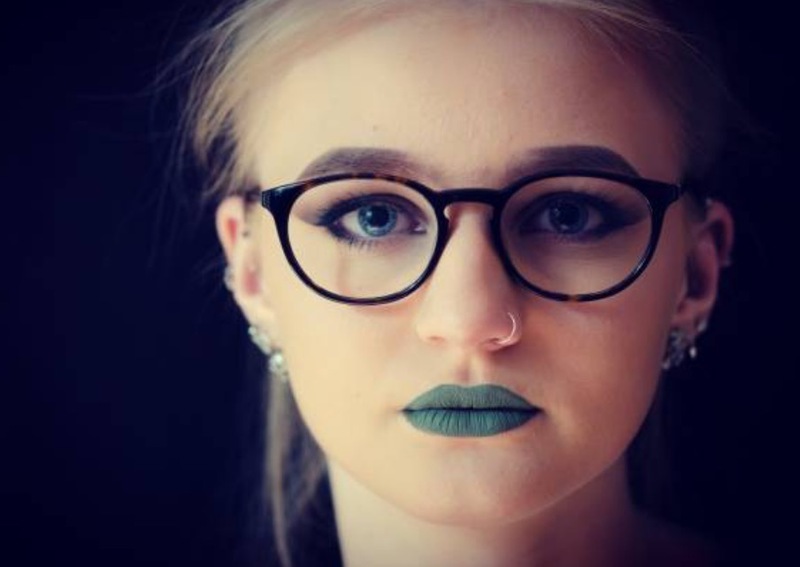 Bold glasses draw attention to the wearer’s face, so makeup must be flawless. Good lighting and a magnifying mirror are essential for those who find it difficult to see their eyes without their specs. Frames and lenses can cast shadows underneath the eyes, so apply concealer to the inner corners of the eyes and any place else the glasses cast a shadow. A lightweight liquid concealer is less likely to crease or look cakey. As with all make-up, apply with a light hand because it’s easier to add more than to remove it and start again. Choose a shade a little lighter than the foundation and if necessary, use a peachy pink corrector to counter the greenish/purplish tone of under eye shadows. Adjust your eyeliner thickness to suit the frames. A thicker frame needs a thicker line to the upper lashline to make the eyes stand out and a finer frame needs a finer line. Light-coloured eye shadow with a luminescent finish will make the eyes look larger, while a darker matte finish will have the opposite effect. This should be considered alongside the magnifying or minifying effect of a significant prescription. (The lenses in glasses to correct long-sightedness will magnify the eyes. The lenses in glasses to correct short-sightedness will minify the eyes and consequently makes them look smaller). Thanks to model of the decade, Cara Delevingne, dark, thick eyebrows have been de rigeur for some years. This look works well with a dark, thick frame but can overpower a delicate style. Neat, well-defined and in proportion with the frame is the aim of the eyebrow game. I think this is perhaps the most useful of all of the makeup tips. Once you have applied your eye makeup, put your spectacles on and look at the face as a whole. Ensure the rest of the maquillage balances the eyes. Define the cheekbones with blusher or bronzer and choose lip colour carefully. The notion of having only a strong eye or a strong lip is outdated. Go as bold as you dare. I will write a post containing makeup tips for contact lens wearers, in due course. In the meantime, take a look at my blog post featuring the latest trnd in spectacle lenses, the Style Colours coloured photochromic lenses by Transitions. I will link to Brilliant Blog Posts and The Saturday Share. It’s interesting that there are so many different types of spectacles Lizzy. Who knew! I am an optimist too, it is so much better to look at the glass half full, especially through snazzy specs! This post was really helpfull. I sometimes wear glasses and havn t thought about adjusting the make-up!